I recently pulled out my Lynx I which I haven't used in several months (worked fine before) and now there are horizontal black lines running along the bottom of the screen. 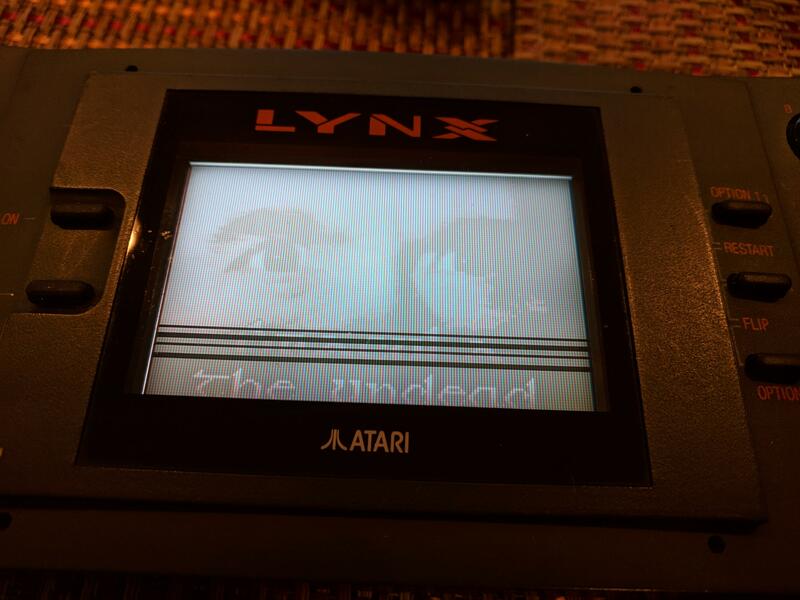 I read a post from a while back about a Lynx II that had a black line issue and the guy replaced the capacitors and problem solved (https://www.igorkrom...se-disassembly/). I was wondering if this is the same solution for a Lynx I? If this is the fix for it, are there any recommended capacitors that I should get? If you aren’t comfortable replacing the capacitors yourself, send it to a modder who can install a McWill screen just in case that doesn’t work. It’s expensive but, well, the value is much higher too. Ben Venn is supposedly going to release a replacement screen too. Maybe that’ll be cheaper. Ben's LCD solution is only for the Lynx II at this point in time as he doesn't or at least didn't have a Lynx 1 to test with. He is also trying to make it so that you just plug his kit into the LCD connector on the lynx 2. Thanks! Wound up putting in a McWill. Works great now! Thanks. I recall a recent RetroRGB was talking about it as if he might be considering other options (solder with more features/flexibility vs no-solder with less flexibility). Wasn’t sure if that was set in stone or not. Awesome! McWill probably makes it like a whole new experience. Enjoy!